Boeing 747 -The aircraft that decorated the skies for five decades. On this day, fifty years ago (9 February), the first Boeing 747 powered by four Pratt & Whitney JT9D engines, lifted off gracefully from Paine Field runway adjacent to the Boeing’s then-new Everett plant in Washington. The Boeing 747, was on the air for 85 minutes with test pilot Jack Waddell on controls, performing a series of tests. 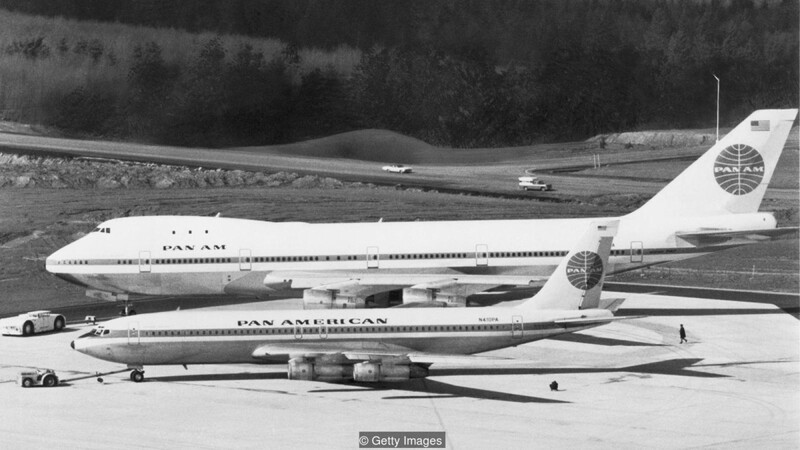 When it landed after the test flight, the Jumbo jet hit the headlines around the world. Jumbo jet revolution begun in 1970 with the first Pan Am commercial flight from New York JFK to London Heathrow. The 747 was postage stamp famous, an icon of pop culture, the backdrop of movies and television, and it even carried the Space Shuttle. “747: Creating the World’s First Jumbo Jet and Other Adventures from a Life in Aviation.” wrote Joe Sutter who led the team of 4500 engineers who designed the iconic 747. Aircraft that is double the size of 707, – 231ft (70.6m) nose to tail and a wingspan of 195ft (59m), had 4.5 million parts, weighed 358,000 pounds was designed and built in 28 months by 50,000 men and women who worked day and night to roll out the aircraft as scheduled. Before its first commercial flight, 26 airlines had already placed orders valued at $1.8 billion (in September 1966). But due to oil crisis many airlines switched to smaller planes and B747 sales went down. Boeing sold only two aircraft for the first year and half from September 1970. So Boeing continued to tweak the design and came out with many variants to accommodate customer needs. The 747 has been involved in 146 aviation accidents and incidents, including 61 accidents and hull losses which resulted in 3722 fatalities. Some to note: The Tenerife airport disaster, Japan Airlines Flight 123 and China Airlines Flight 611 crashes, United Airlines Flight 811, which suffered an explosive decompression in mid-flight, Korean Air Lines Flight 007 was shot down by a Soviet fighter aircraft, TWA Flight 800, where a 747-100 exploded in mid-air and El Al Flight 1862 crashed after the fuse pins for an engine broke off shortly after take-off due to metal fatigue. Instead of dropping away from the wing, the engine knocked off the adjacent engine and damaged the wing. In the five decades since, the Boeing delivered 1,548 of 747s, which flew 57 billion nautical miles (121.5 billion kilometers) which are equal to more than 137,000 trips from the Earth to the moon and back. They have flown more than 5.9 billion people. Boeing 747- “You can carry passengers, and if you can’t carry passengers you can carry freight and if you can’t carry freight you can carry fuel,”… “The A380? You can’t carry freight in that.” says John to BBC.